Our stunning 140sqm Opera Suite combines French elegance with subtle traditional Cambodian touches, in an elegant home away from home. 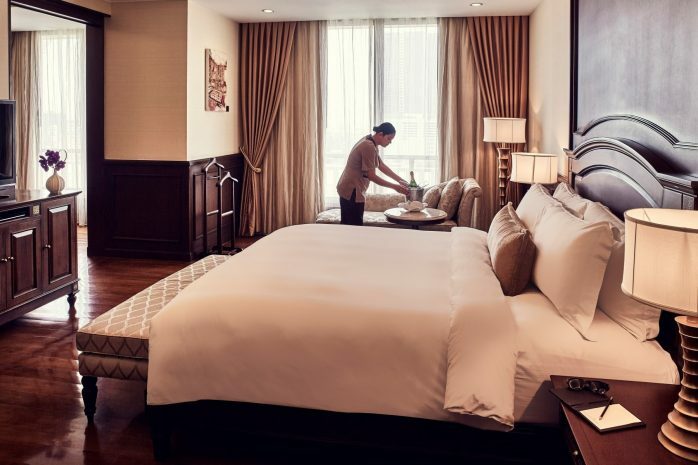 The suite includes separate living areas and bedrooms fitted with custom created King sized Sofitel MyBeds, and silent air-conditioning units that assure only the highest level of comfort, guaranteeing more than just a restful night’s sleep. Indulge in unparalleled luxury with our diverse amenities including the separated living areas and lounges decorated with plush sofas and recliners. Guests can enjoy complimentary high speed Wi-Fi while watching world-class entertainment on the 42-inch flat-screen LCD TVs and DVD players in every room including the bathroom. Each has high quality HD audio and video connectivity for your viewing and listening pleasure. Further amenities include the intricately designed writing desks which are the perfect places to pen postcards to home, or write letters about adventures abroad. The separate dining area features a custom built dining table, which is perfect for meals cooked fresh from the adjacent pantry. 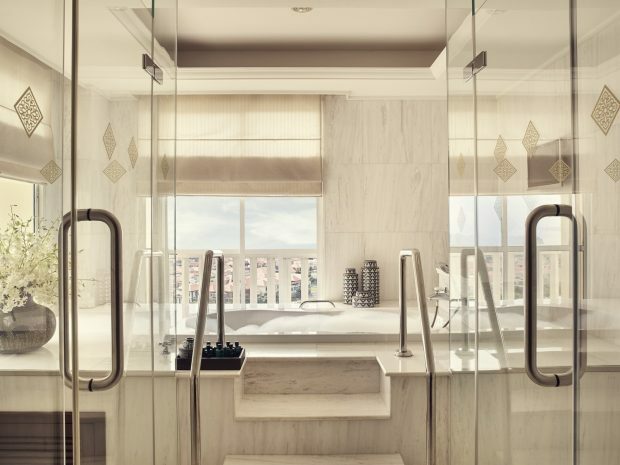 The spacious marble bathrooms separate the shower and Jacuzzi bath which is the ideal location to indulge yourself after a long day spent exploring the exotic local sights and lush hotel grounds. The separate dressing area and walk-in closets are both perfect for evenings spent getting glammed up. As part of the Sofitel ethos, we only offer our guests the best and this includes a range of complimentary health and beauty products from renowned and celebrated designer lifestyle brand Hermes. 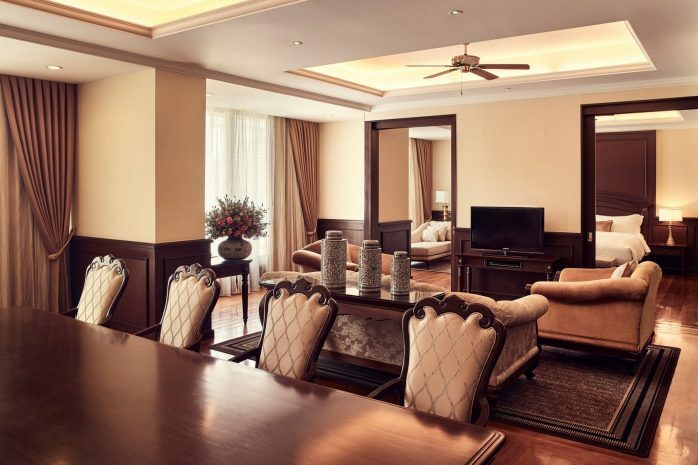 This suite is can only be described as intimacy at its highest level, and so for guests who choose to book this suite, an array of Club Milliséme benefits are also available, including a delicious breakfast and all-day refreshments at our elegant member’s only lounge. To experience a true slice of heaven, book your stay with us today.